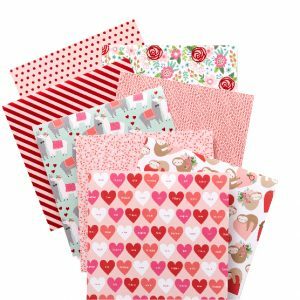 Valentines Archives - Pebbles, Inc.
New Valentines Collection – We LOVE spreading love!!! 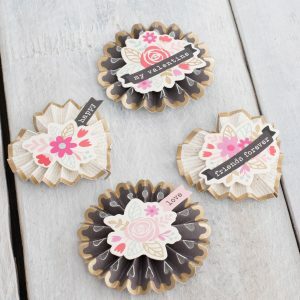 This collection will start shipping out to your local craft stores (and parts of it to your local Paper Source store!!) early next month. That way, when you get a free moment during the holidays (or in January), you can sneak in some crafting time that will do good to others and yourself too! 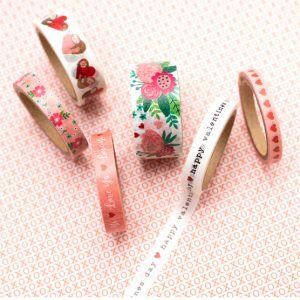 These products are great for kids projects too! Attention one, attention all: Forever My Always is here! 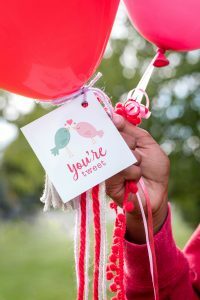 Ready to share some love with those around you (because you know we all could use it!)? 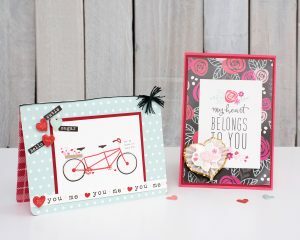 We can’t wait to see what you’ll put together with the Forever my Always collection from Pebbles! It is the newest in the line up of some amazing products, ALMOST available to you! 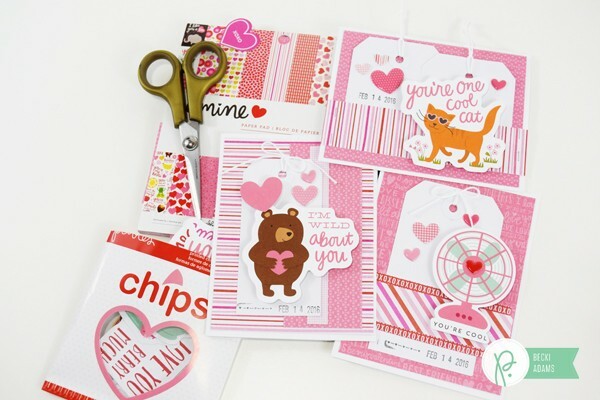 Featuring pops of fun florals, deep reds, vibrant pinks and beautiful gold foil, this collection makes falling in love easy! 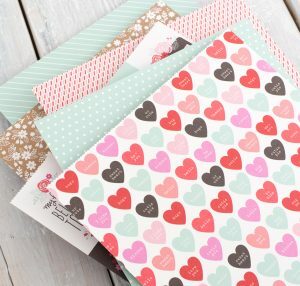 Use the paper prints and embellishments to create handwritten love notes for that special someone or a card for your best friend. Trust us… the adorable collection of Valentine’s stickers, ephemera and doily rosettes are not to be missed! These will be online in 2 weeks and in your local store in 4! Be sure to let us know what you think! Hey friends, Becki here. Valentines Day was a few days ago. 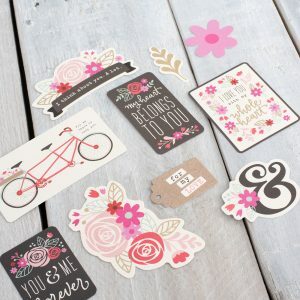 Traditionally we send notes, cards, and gifts to tell friends and family that we love them. 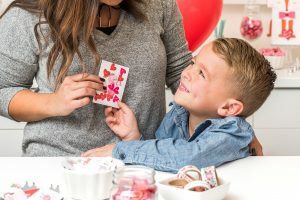 Why don’t we send cards to say I love someone more often? It’s like sending hugs and kisses through the mail. 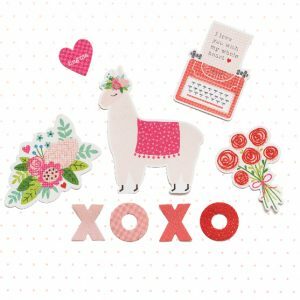 Who doesn’t love a piece of happy snail mail? 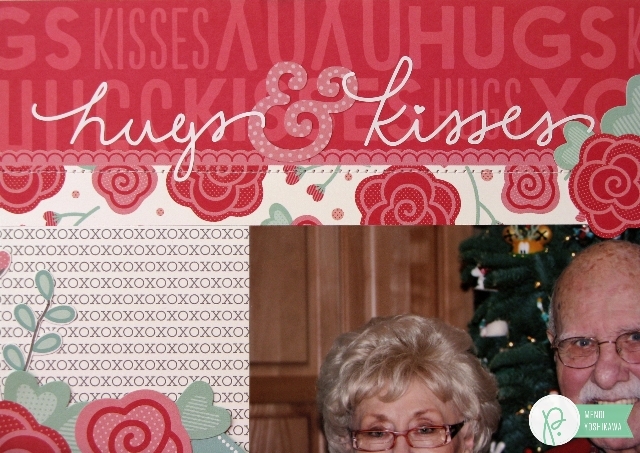 I created a set of cards simply for this purpose, sending hugs and kisses in the mail. 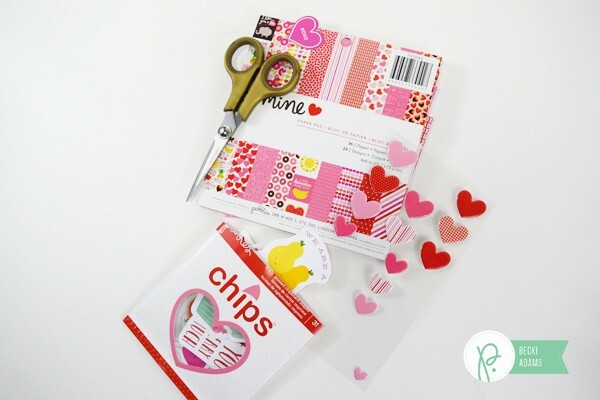 I used the Be Mine collection for this card set, specifically the chips, the 6×6 paper pad, and the puffy heart stickers. I used 6×6 patterned paper as a background. Then, I used white shipping tags to ground the die cuts (so they didn’t get lost in the background paper). These cards were SO easy to create. The puffy heart stickers are a sweet little addition to these cards. I did add a date stamp on the background of these cards, that’s totally optional. You don’t have to use a date stamp. I just thought it was a fun element to add to these cards. I used 2 shipping tags on this card simply because it’s a landscape card instead of a portrait card. This fan is my absolute favorite part of the entire Be Mine collection. It’s SO cute! So what do you say? 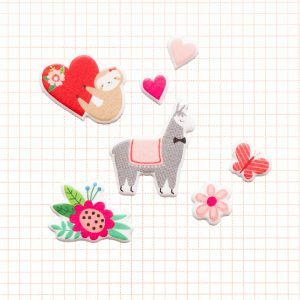 Will you stick a card in the mail, just to tell someone you love them? Please do, send someone hugs and kisses in the mail. 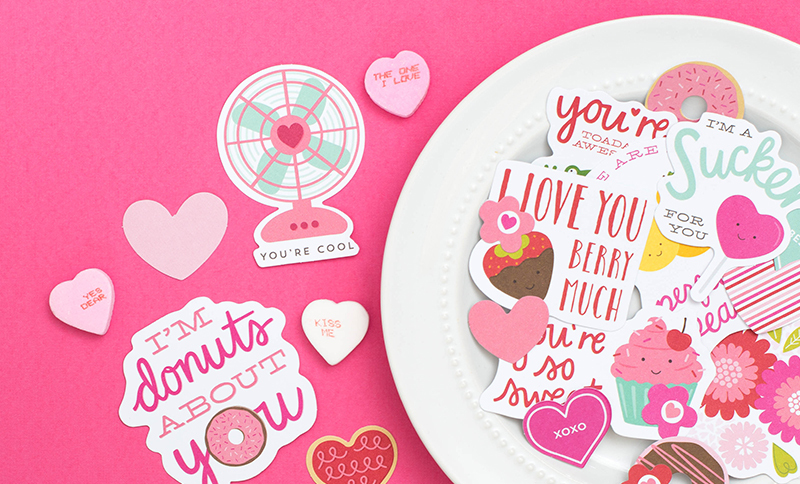 Today we’re super excited to debut our brand new collection for Valentine’s Day, Be Mine! 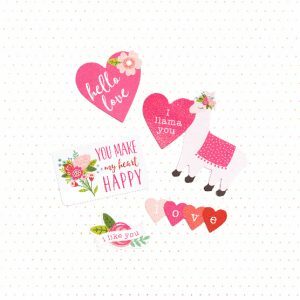 It’s the perfect pick for sending heartfelt thoughts and sentiments to all your favorite sweethearts. This collection focuses on sweet quotes, fun icons and bright images that everyone can enjoy. 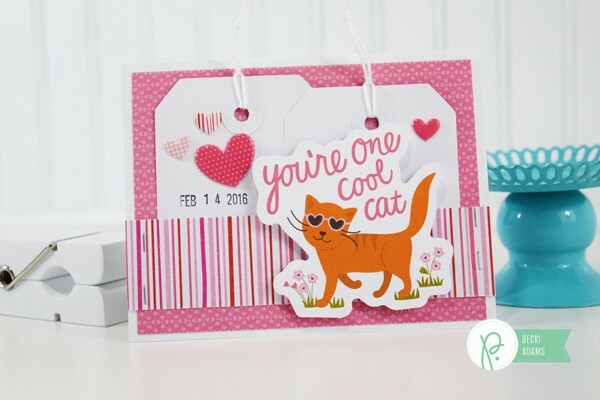 It truly is for the young at heart and features simple, easy-to-use products that even the most novice crafter can use to create something stunning in just minutes. We hope you love the new collection as much as we do! 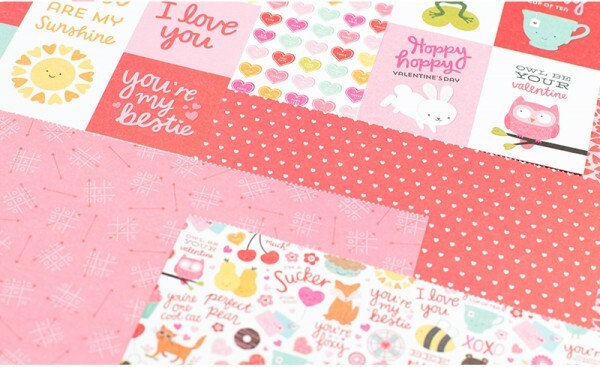 We can’t wait to see all the beautiful and heartfelt goodies and notes you’ll make! Hello there! 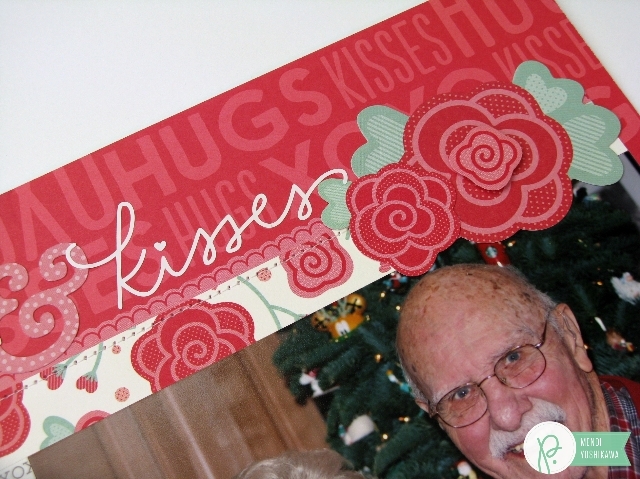 It’s Mendi here today with a fun Valentine’s Day layout about my sweet grandparents. They have been married for just a few years shy of 70 years so when I came across this photo of them I knew they would fit this week’s Hugs and Kisses theme perfectly (even if it was taken at Christmas time). 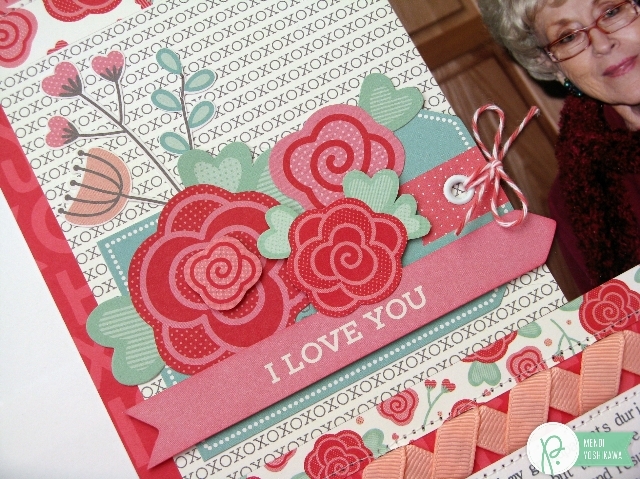 I thought it would be fun to layer the roses and flowers in this collection in a little grouping on the aqua tag. Even though the tag didn’t quite match my theme, I loved the color of it and how it contrasted with my flowers so I was able to strategically hide the picture printed on it. 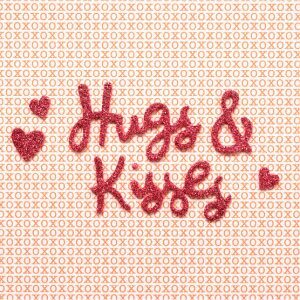 Just in case the background paper wasn’t enough to reinforce my theme, I die-cut my hugs and kisses title using cut files found HERE and HERE. I cut my words with white vinyl which is perfect for thin, delicate titles that might otherwise shred ordinary cardstock. To give my flowers extra depth I popped up some with foam tape and cut some extra flowers from the matching patterned paper to layer in the centers. 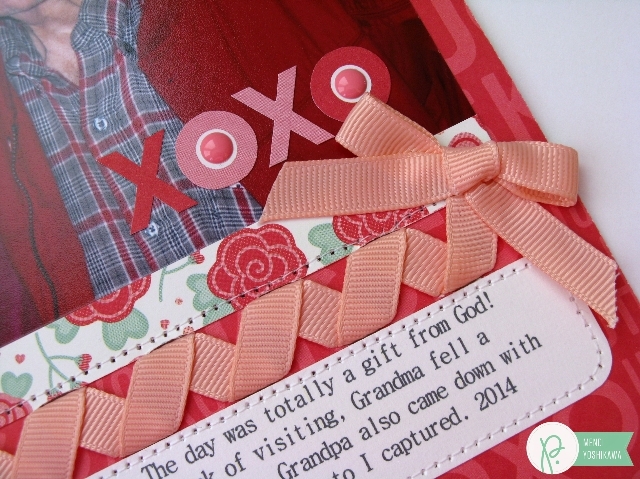 For the perfect finishing touch to my layout I created a ribbon border using We R Memory Keeper’s Sew Ribbon tool. I love how it adds a Wow factor to my layout! To create a border just like mine, you will need 3 to 4 feet of ribbon (I used almost an entire AC spool with my bow which comes with 4 feet) and the Sew Ribbon tool of your choice. And here’s another look at the finished result. I love how it has the feeling of a fancy wedding dress which is perfect for a layout all about love!